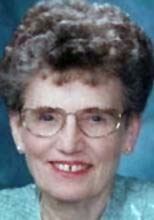 WATERLOO — Marian A. Alfrey, 86, of Waterloo, died Wednesday, April 18, 2012 at Lakeview Landing of Friendship Village. She was born Dec. 5, 1925, in Crab Orchard, Neb., daughter of Rollin and Emma Schultz Stover. She married David H. Alfrey on Aug. 10, 1947, in Louisville, Neb. Mrs. Alfrey graduated from Virginia, NE High School in 1943, attended Peru State Teachers College for two years, earned a bachelor’s degree from University of Nebraska in 1968 and a master’s degree from the University of Northern Iowa in 1972. She taught elementary school in Beatrice, Neb., for seven years, and taught fifth- and sixth-grade math at Kittrell Elementary School for 21 years, retiring in 1989. She was a member of First United Methodist Church, was past president of Covenant Auxiliary and ran the gift shop, was a member of PEO Chapter JP, Waterloo Ambassadors Cub, and won Mayor’s Volunteer Award twice. Survived by her husband; a son, Gary (Amy) of Waterloo; a daughter, Judy Pollock of Grand Prairie, Texas; five grandchildren, Tori, Melissa and David Pollock and Jennifer and Kayla Alfrey; three brothers, Charles, Robert and Gerald Stover, all of Beatrice; and a sister, Marjorie Delp of Lincoln, Neb. Preceded in death by a son-in-law, Stephen Pollock. Services: 10:30 a.m. Saturday at Waterloo First United Methodist Church, with burial in Waterloo Memorial Park Cemetery. Visitation from 4 to 7 p.m. Friday at Locke Funeral Home. Memorial fund for a scholarship in her name will be established, in lieu of flowers.